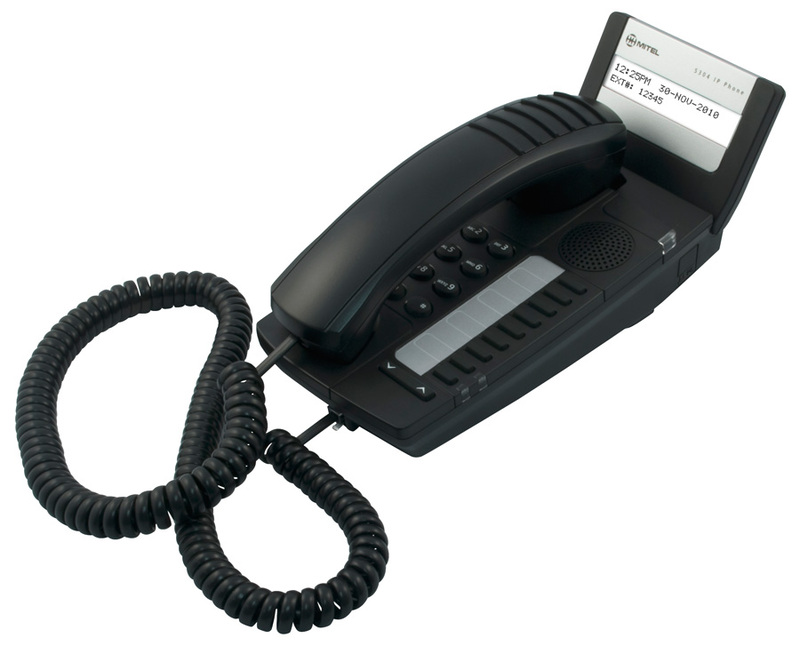 The 5304 IP Phone is a cost-effective entry-level display phone that provides access to the features and applications enabled by Mitel’s IP communications platforms. This two-line, dual-port IP phone with a 20-character backlit display supports both SIP and MiNet protocols and works behind a range of Mitel platforms and can be easily deployed as a Teleworker phone. It is specifically suited to areas where a small footprint is required: cruise ship cabins, hotel guest room phones, university dorms, classrooms or beside a cash register in the retail environment. ■8 Programmable keys: speed dials, features access codes, paging, conferencing, voicemail access etc.